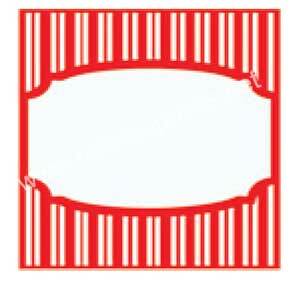 Preprinted red and white striped write on labels. These multi-purpose labels look great with your message written on them with a sharpy style marker. Also available in black. Sold in rolls of 200 labels.